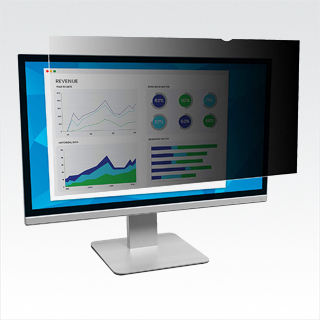 Protects confidential and private information from unwelcome eyes using Microlouver technology the Vikuiti Privacy Screen blacks out the displayed data unless viewed from directly in front of the screen also includes Anti Glare. Reversible, matte side reduces glare and reflections. Protects display from dirt, debris and scratches. Cleans easily with a soft cloth and water.